Most of the time I prefer a smooth dip over a salsa, but on a hot night not too long ago I got a hankering for a fruit salsa that couldn’t be denied. After some research, I decided on a mango-cucumber salsa. The freshness of the mango and cucumber was exactly what I wanted on that particular summer evening. A mild fascination with fruit salsas developed and I’ve made a few since. 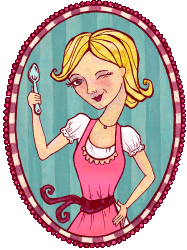 This is the first recipe I’ll share, but expect to see more in August. I’ve declared it my “Month O’ Fruit Salsas”! 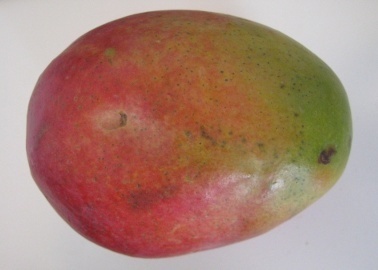 Mangoes are under eaten in my opinion. You can find the following fruit salsa recipe in many places. But I added a few of my own touches that I think worked well. Other than adding a bit more spice, I wouldn’t change a thing. Cut off the ends of the jalapenos and de-seed peppers if you don't want the salsa spicy. Throw jalapenos and cilantro in food processor. Combine all ingredients in mixing bowl and gently stir. I de-seeded the peppers and the salsa had no heat. If you want it spicy, I say keep the seeds and possibly even add another pepper or two. Part of me really wanted to add an avocado to this salsa, but after paying $2 for a mango I couldn't bring myself to pay another $2 for the avocado. I bet it'd be good, though! What a great idea! 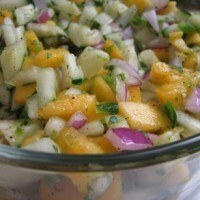 I never would have thought to make cucumber salsa, let alone with mangos! I love that I could enjoy a delicious salsa when farmer’s market tomatoes are out of season! I love fruit salsas! And am absolutely obsessed with mangoes. I might love them a little too much… Any time I decide to chop one up, I end up eating the ENTIRE thing while standing over the sink. No shame!! Love the sound of this; sounds so, so…well, so good! White, yellow and purple…beautiful combination! Very delicious too! Very refreshing with mango and cucumber, just perfect on a hot day! This would taste just perfect on a hot Austin afternoon. Your salsa so delicious, and it is a yummy way to start my very late Sunday morning. I hope you have a beautiful day full of laughter and love, my friend!